Please feel free to come and see me -- just drop by, or call or email if you prefer! Register your DalCard: Before you can use your DalCard to borrow materials, you must complete an online registration form. Register your DalCard in person at the service point/circulation desk of the Dalhousie library you use most. The Chicago Manual of Style is used in many disciplines that prefer using footnotes or endnotes to cite sources. 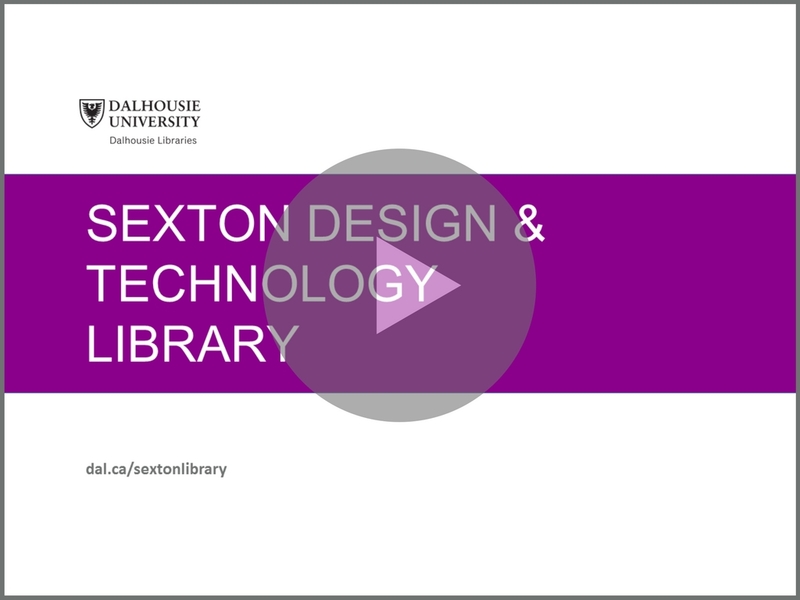 Book the Sexton Library's Group Study Room, A207, through the Dal Libraries' online room booking system. The room can hold 10, has a large white board, and a 40'' monitor. Book a study room in the Design Building. This service is run by DalEng. There are 6 study rooms available. If you have a recommendation for a book to purchase for architecture, please let me know! when researching subjects in architecture. Please never hesitate to contact me if you need any kind of assistance. I am very happy to help. Sign in to view your library account status -- books you have out on loan, fines, etc. Login is the 14 digit barcode at the bottom of your DalCard starting 21264...; password is usually the last 4 digits of your phone number, unless you have set a separate password. The User Password is usually the last 4 digits of your phone number on file with the Library, unless you have set a separate password. A PDF summary of the main points of the 6th edtion (2010) of the APA citation style. Dal's website to educate and to promote academic integrity among students and faculty. New books are added to the Sexton Library's collection on an ongoing basis. The following is a list of titles added over the previous month.